For those who were wondering what Out of the Box has been up to since March (yes, it has been that long), it’s time for a Christmas Round Robin! The early part of 2014 was taken up with our production of Steve Lambert’s ‘Still’. Directed by Lisa and starring Simon and new recruit Sarah Covill, it was well recieved by our audiences. We appear to have misplaced the pictures, but will search hard drives and iPhones and get something posted on here very shortly. After a holiday in Spain (spent mostly reading scripts! 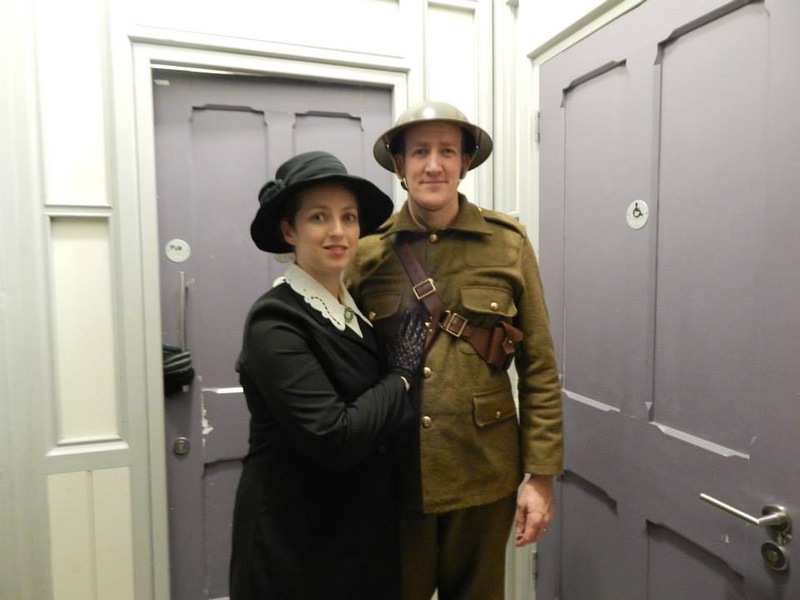 ), Simon and Lisa auditioned for the Lincoln Mystery Plays’ World War One commemoration ‘The Last Post’. 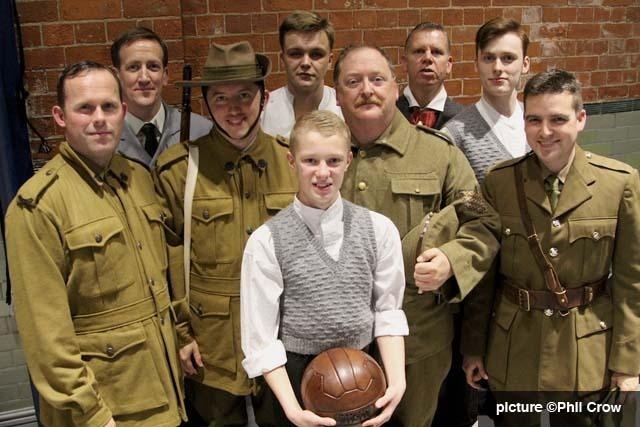 Written by David Owen Smith and Peter Came and directed by Janie Smith, the play told the story of the Beechey family of Lincoln, who lost five of their eight sons in the Great War. Simon played Leonard Beechey, who tragically died of injuries in December 1917. Lisa played Len’s wife and widow, Annie. With a cast of 70, plus choir and musicians, the play was on a scale Out of the box could only dream of. 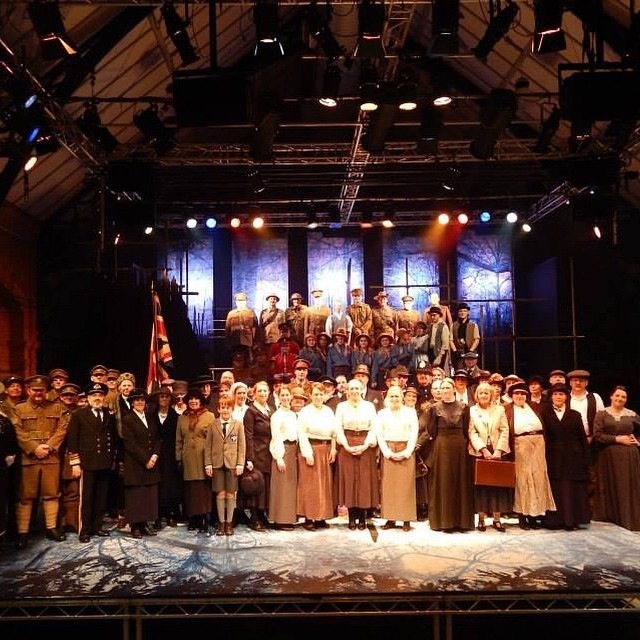 It was a honour to be involved in such a project and being on stage telling a WW1 story during Armistice week in the centenary of the outbreak of fighting. It is 1916 and the Battle of the Somme rages. ‘Cowards’ follows the stories of Harry Blaydon, a young Private charged with cowardice and General Sir Douglas Haig. Spiralling casualty figures and political maneuvering result in both men facing ‘firing lines’, but can either escape their fate? 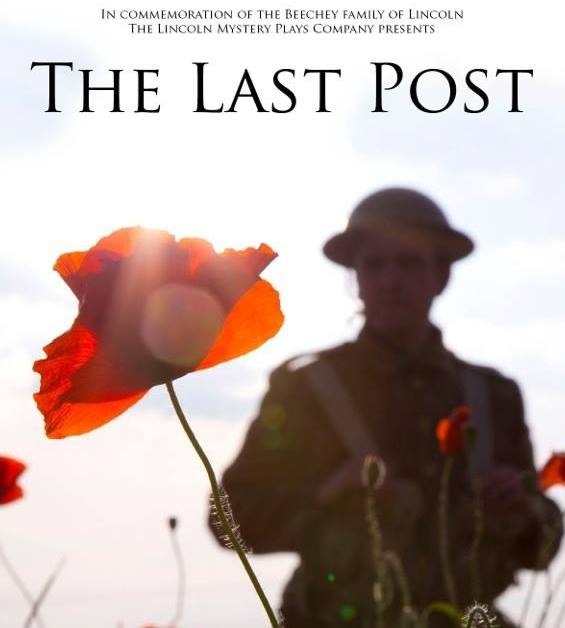 This new play, written by local playwright Stephen Gillard and performed by local company Indulgence Theatre, is based on the diaries of General Haig and real letters from soldiers on the front line. We have also decided on some future productions. ‘Cowards’ playwright and supporter of Out of the Box Stephen Gillard has chosen us to produce the World premier of his new play ‘The Lighthouse Waltz’. We’re very excited to be working with Stephen on what promises to be a thrilling production. We’ve had an exclusive read of the script and it’s a cracker (excuse the Christmas pun). Our spiritual home, The Room Upstairs at the Lincoln Drill Hall, has been booked for 25-27 June. We look forward to seeing you there! For the actors amongst you, we will put out audition notices in February, so watch this space. We are in the process of securing performing rights, but we hope that other future productions will include ‘Anna Weiss’ by Mike Cullen, ‘Self Catering’ by Andrew Cullen (not related as far as we know) and ‘Equus’ by Peter Schaffer. We’re also looking out for unpublished or new work, so if you know of anything you think would suit Out of the Box, please get in touch with us.